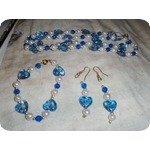 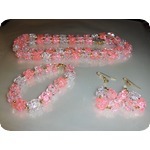 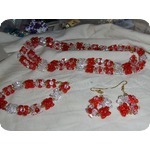 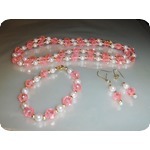 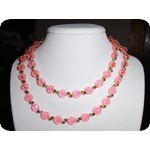 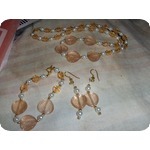 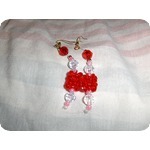 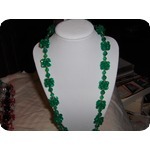 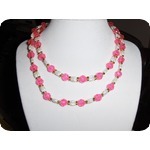 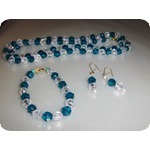 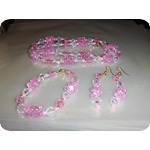 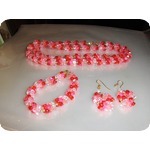 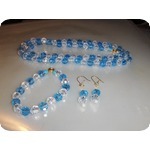 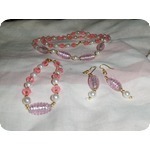 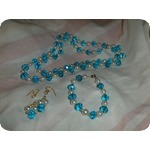 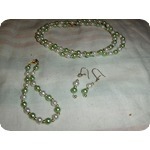 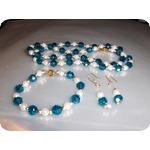 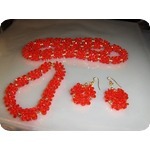 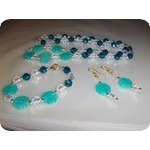 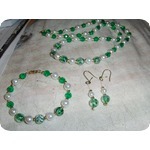 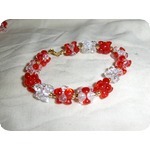 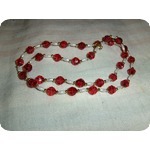 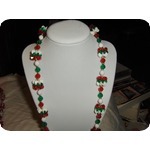 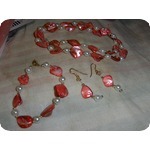 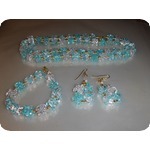 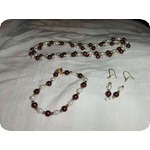 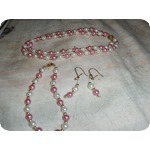 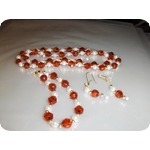 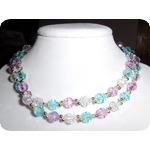 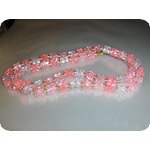 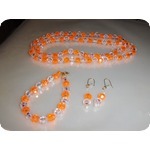 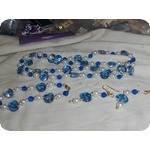 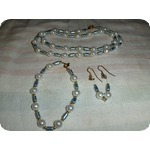 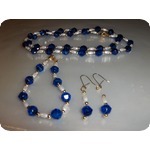 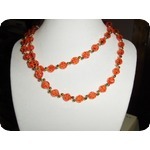 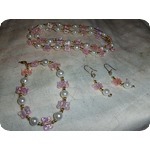 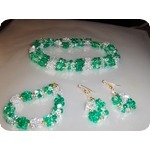 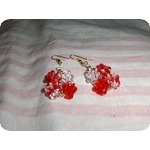 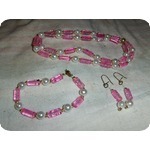 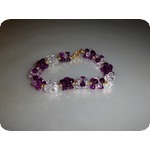 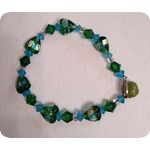 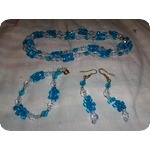 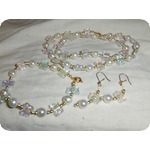 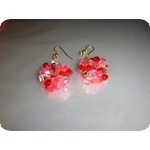 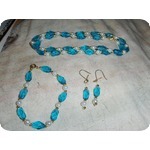 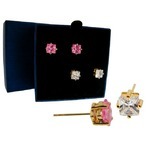 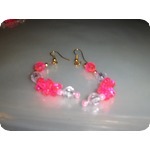 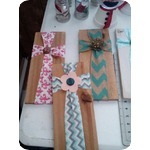 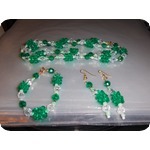 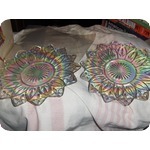 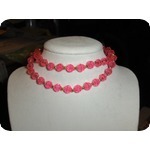 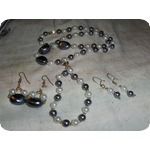 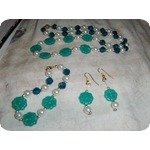 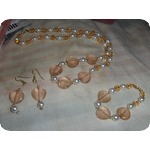 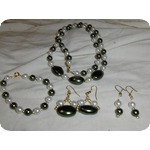 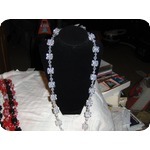 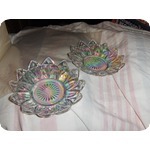 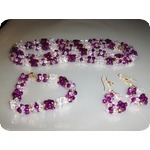 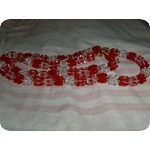 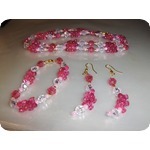 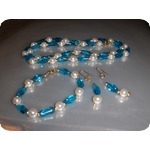 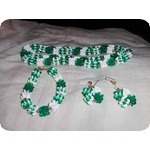 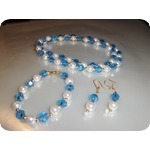 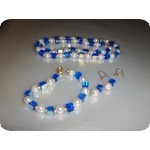 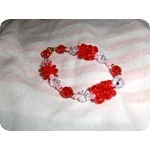 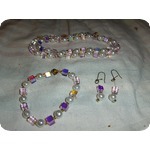 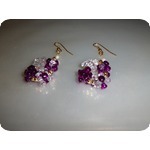 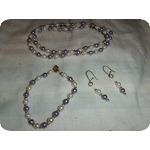 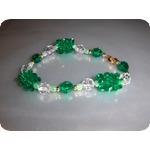 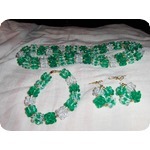 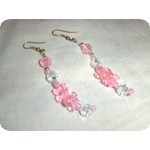 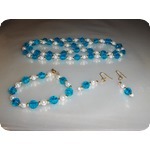 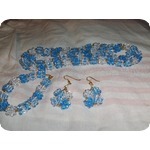 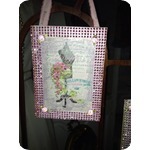 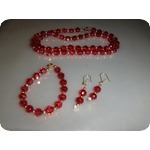 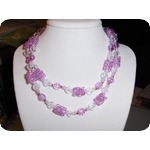 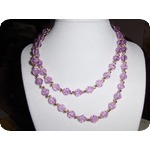 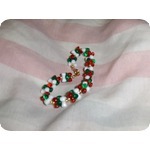 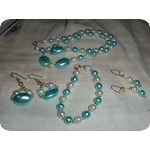 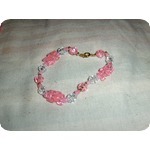 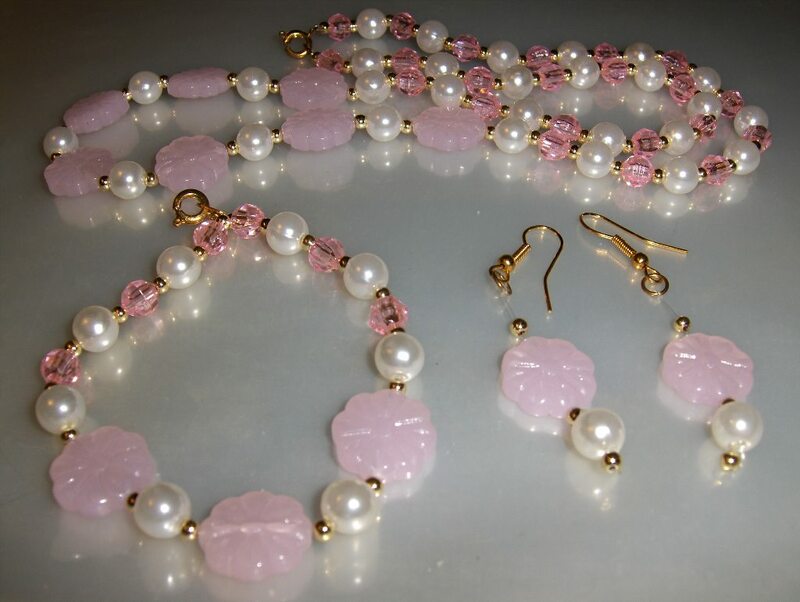 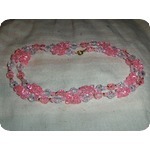 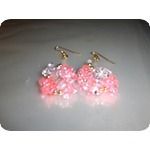 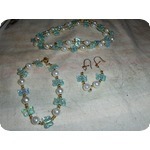 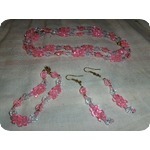 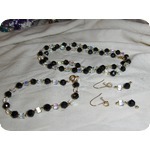 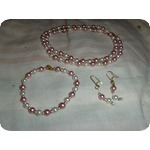 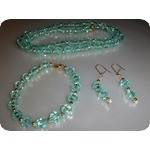 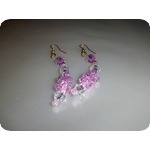 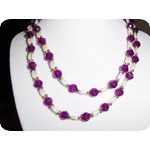 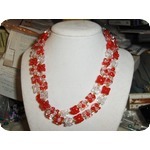 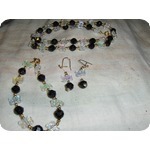 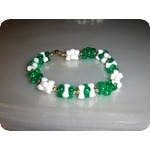 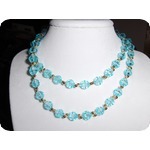 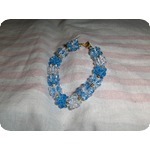 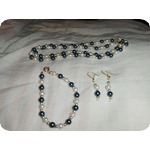 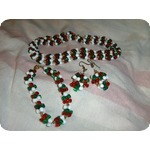 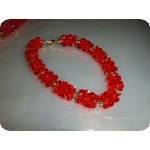 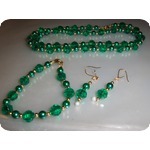 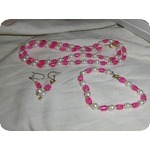 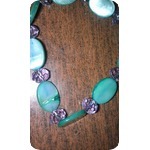 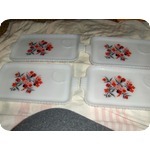 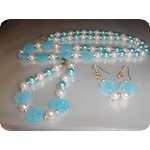 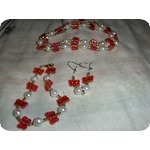 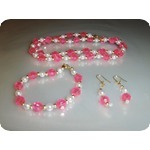 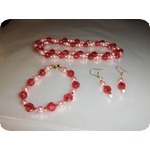 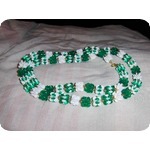 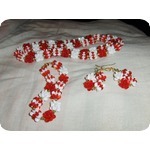 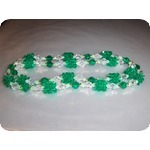 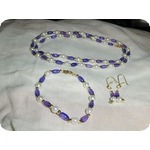 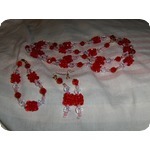 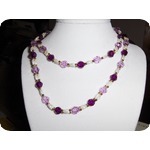 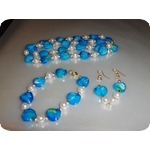 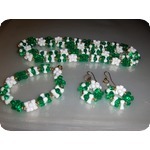 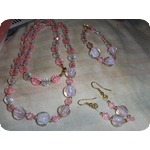 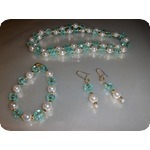 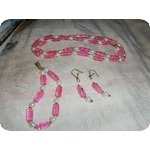 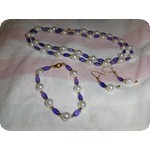 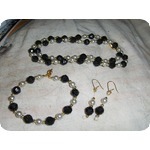 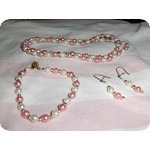 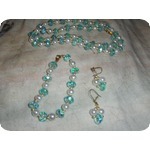 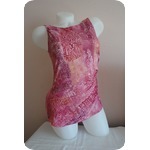 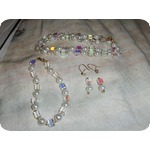 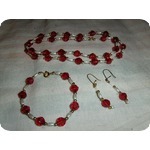 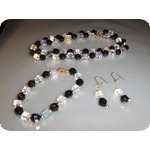 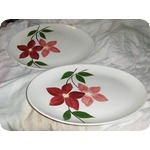 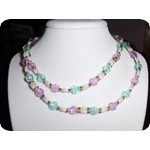 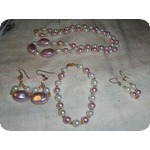 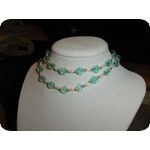 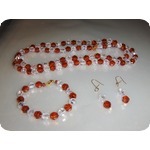 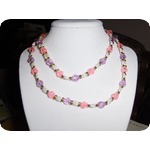 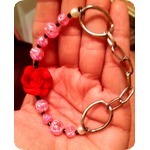 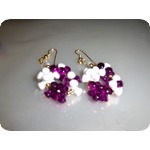 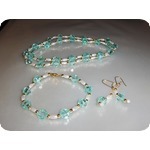 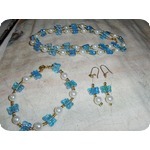 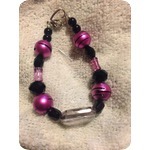 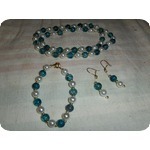 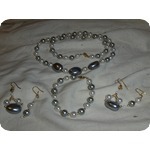 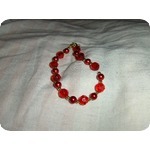 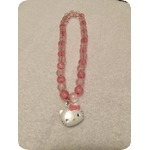 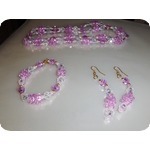 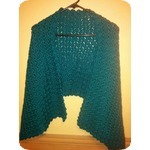 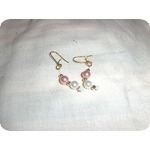 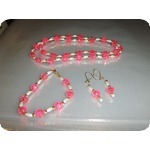 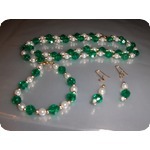 This is the separate listing for my pink "Flowers & Beads" 3 piece sets. 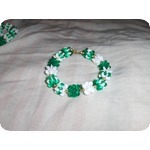 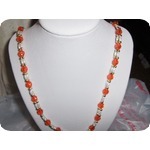 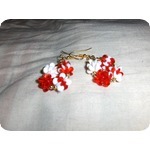 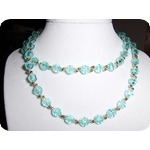 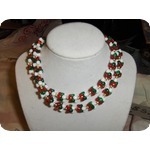 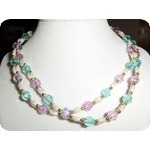 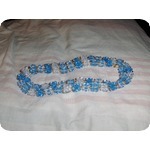 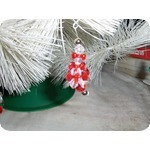 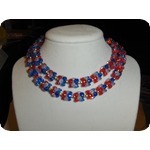 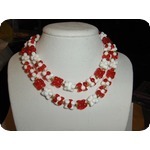 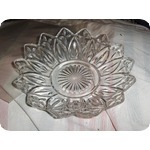 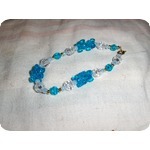 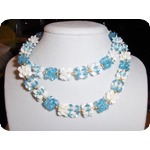 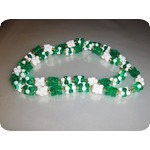 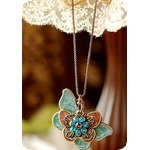 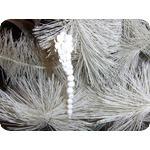 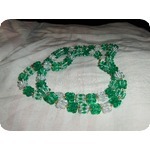 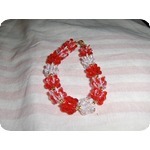 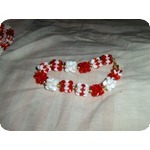 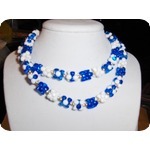 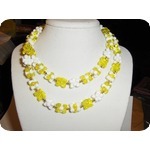 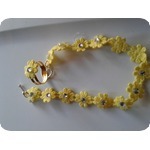 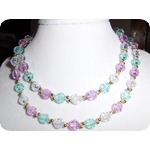 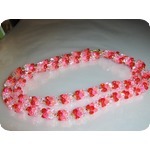 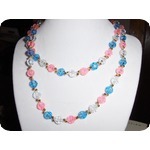 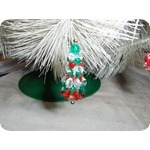 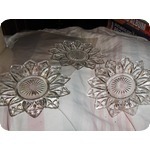 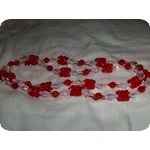 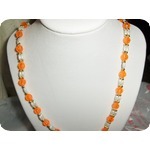 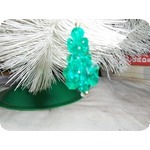 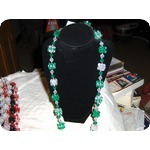 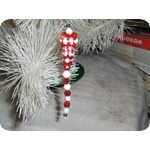 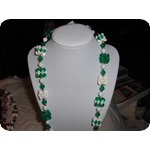 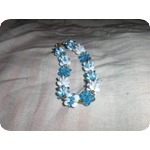 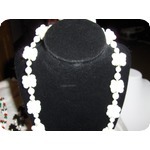 The piink flower beads are made of milk glass. 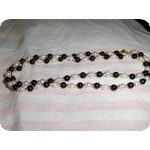 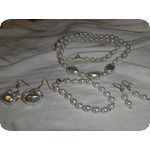 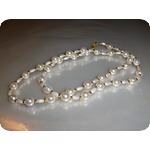 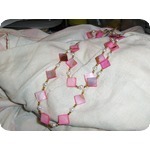 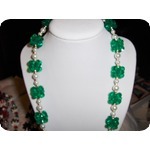 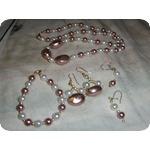 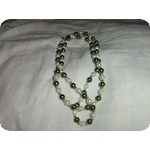 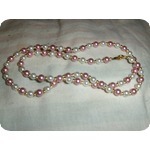 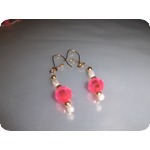 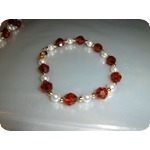 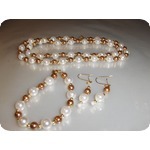 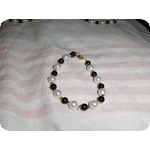 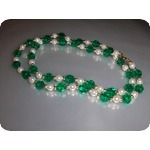 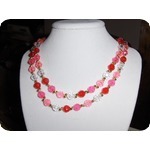 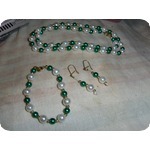 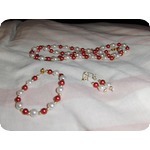 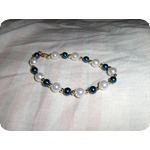 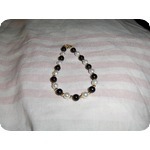 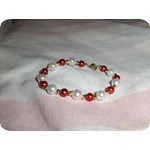 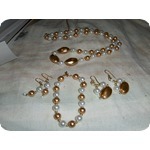 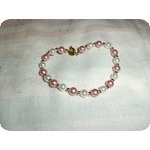 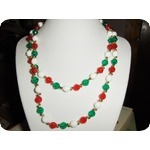 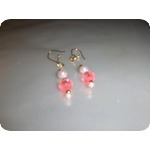 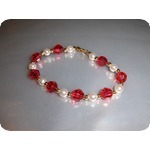 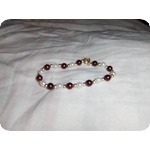 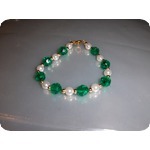 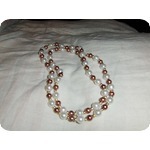 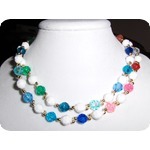 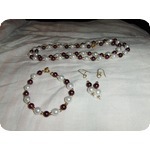 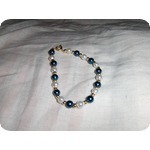 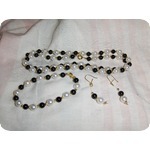 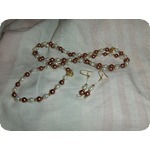 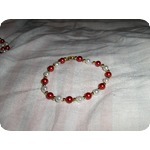 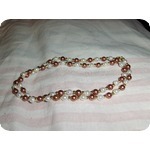 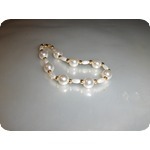 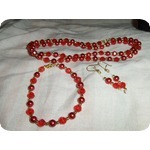 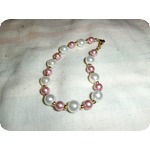 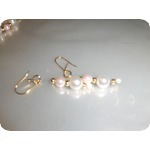 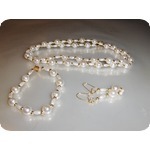 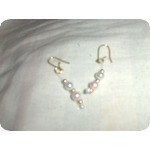 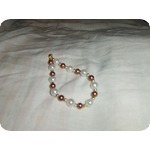 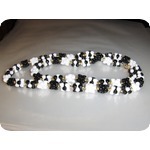 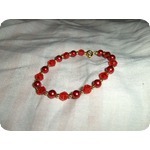 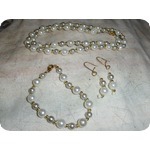 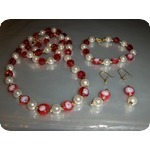 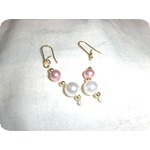 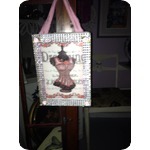 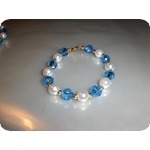 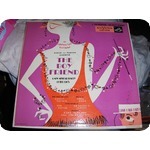 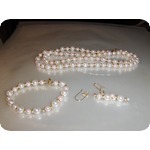 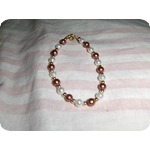 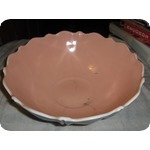 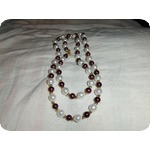 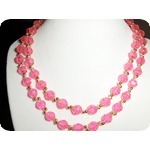 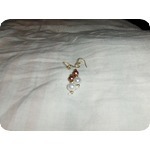 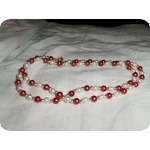 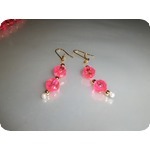 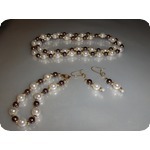 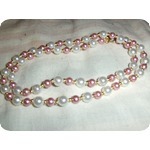 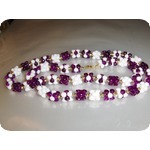 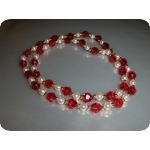 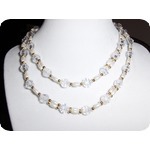 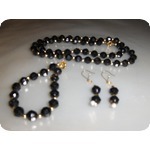 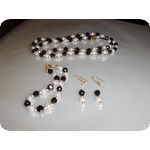 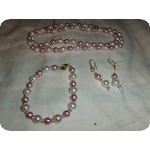 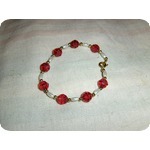 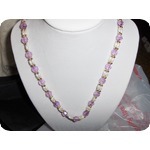 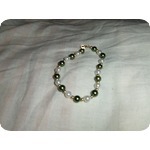 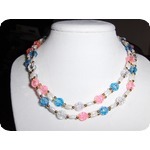 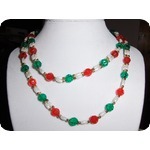 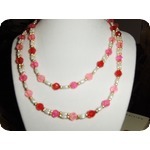 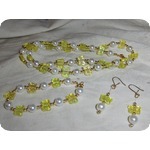 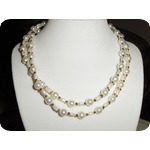 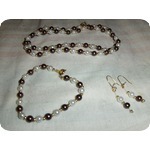 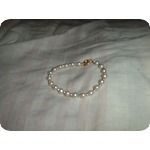 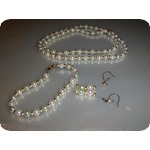 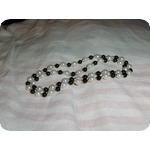 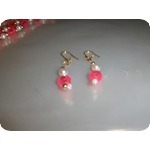 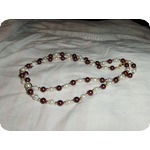 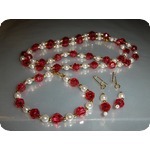 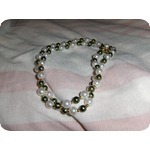 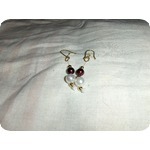 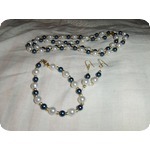 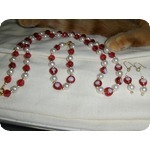 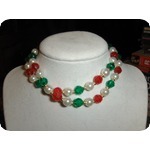 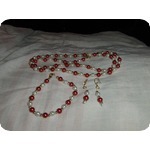 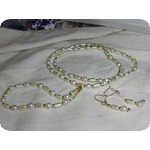 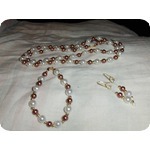 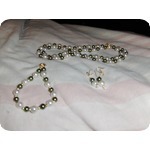 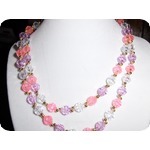 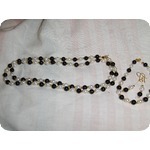 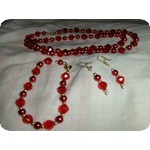 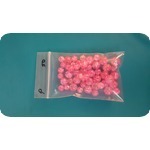 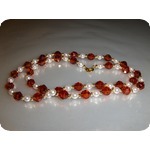 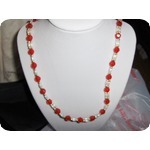 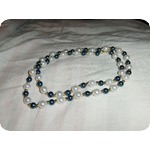 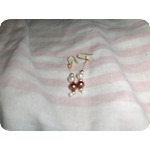 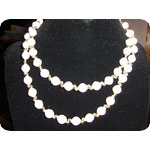 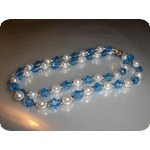 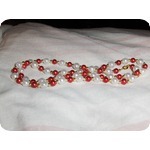 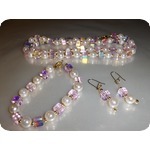 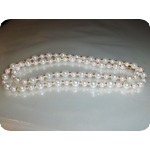 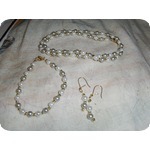 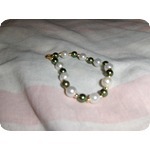 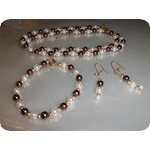 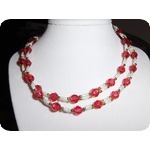 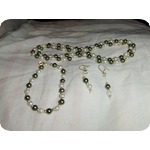 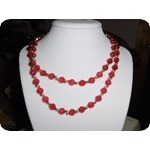 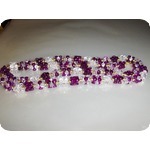 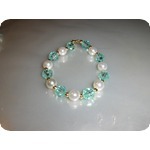 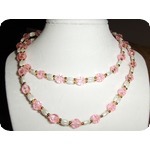 The pink beads, white pearls and gold accents are made of plastic. 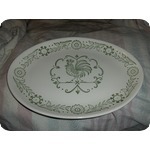 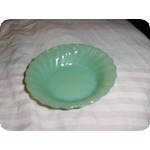 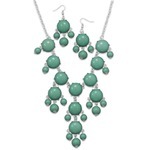 To the best of my knowledge, I have only 2 sets in this color of the design. 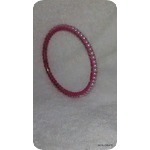 I'll know more as I go thru my inventory. 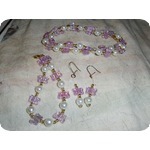 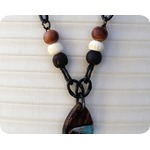 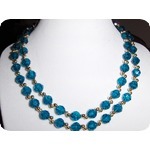 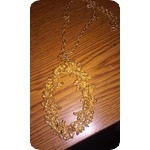 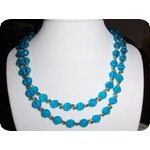 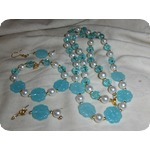 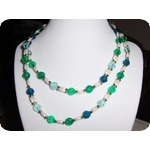 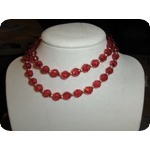 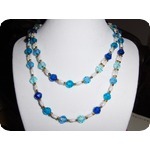 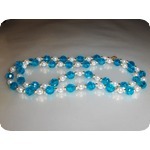 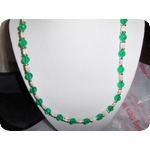 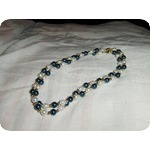 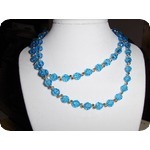 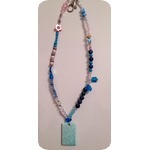 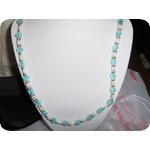 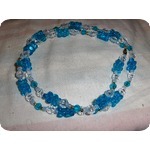 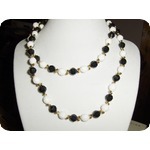 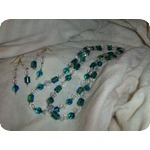 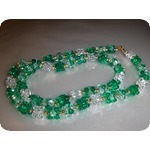 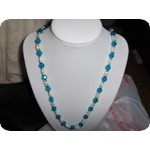 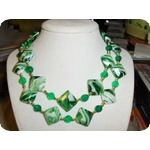 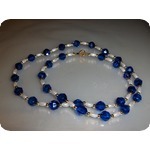 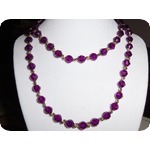 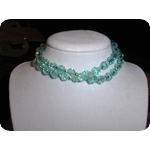 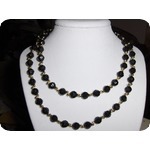 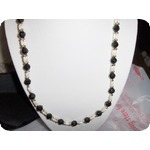 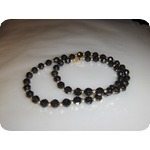 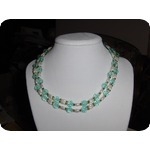 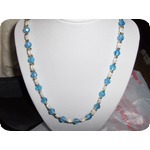 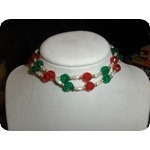 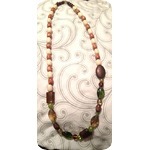 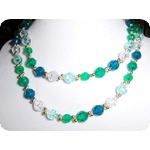 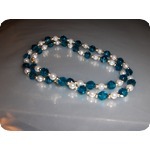 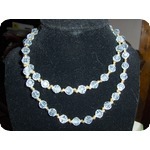 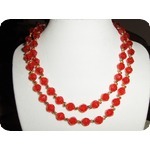 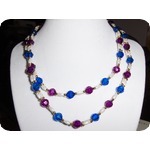 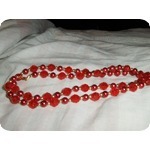 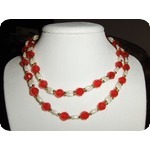 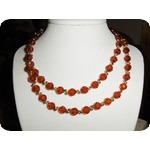 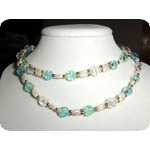 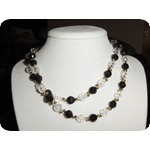 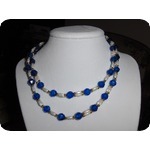 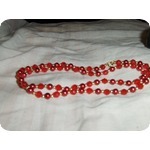 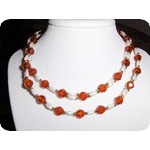 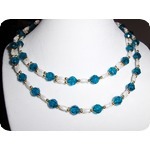 One necklace is about 23 1/2" long. 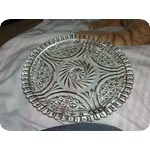 The other is about 20". 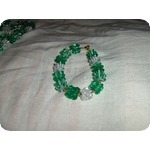 Both bracelets are about a size 8. 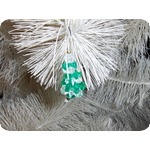 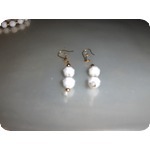 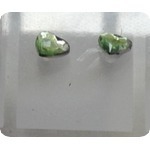 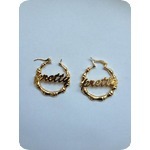 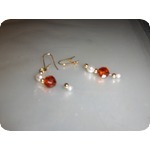 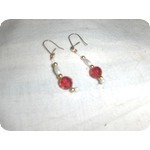 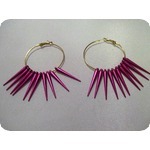 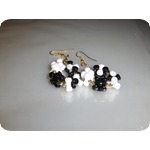 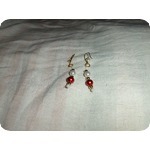 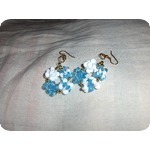 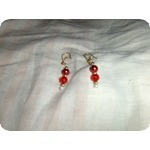 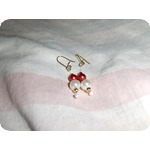 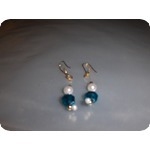 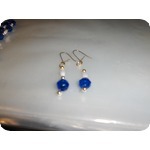 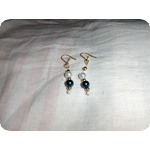 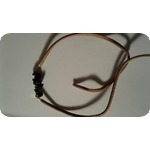 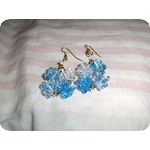 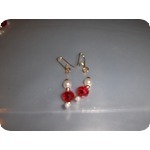 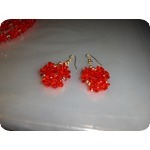 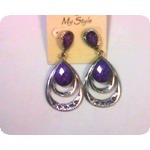 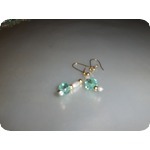 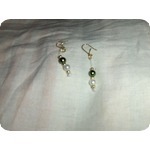 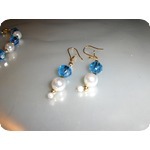 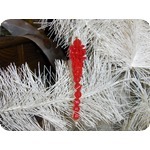 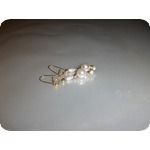 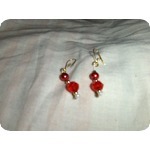 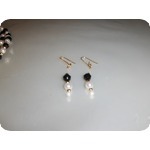 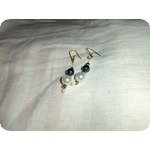 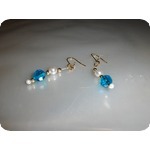 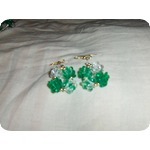 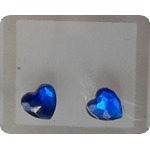 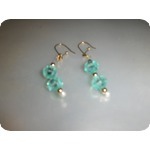 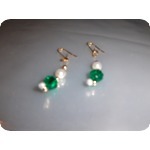 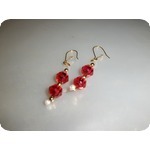 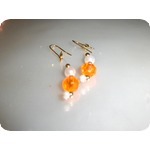 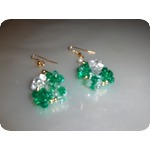 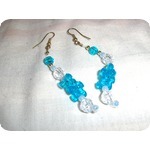 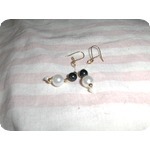 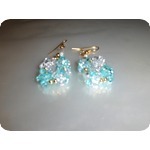 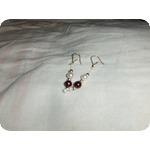 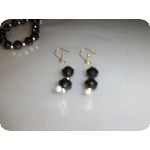 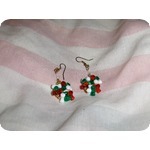 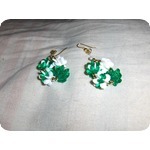 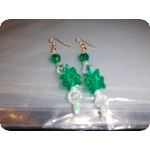 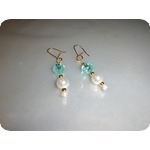 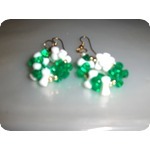 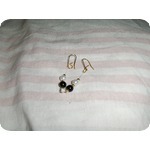 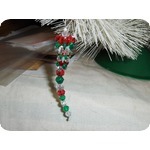 The earrings come in your choice of French hooks, kidney wires, posts or clip-ons. 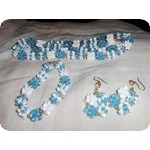 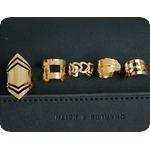 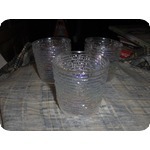 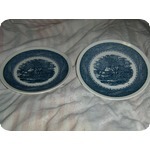 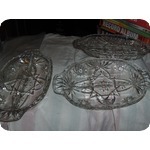 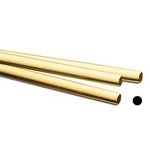 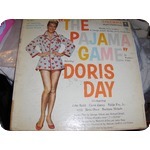 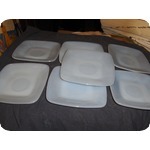 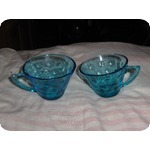 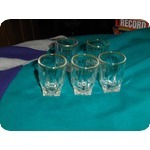 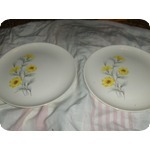 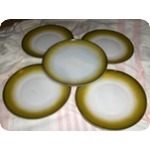 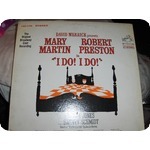 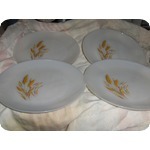 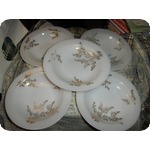 The price of each set is $7.00. 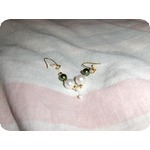 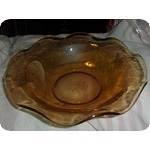 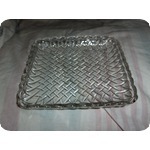 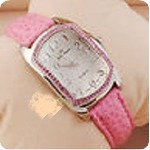 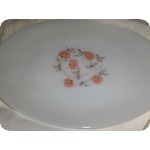 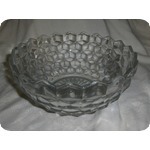 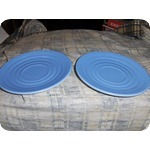 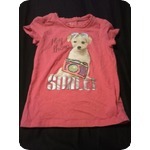 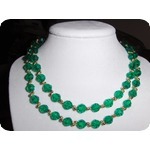 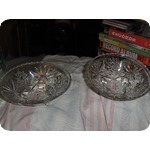 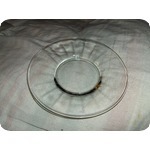 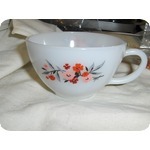 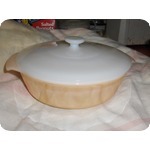 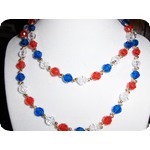 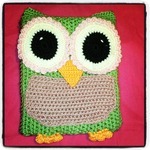 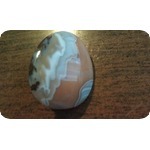 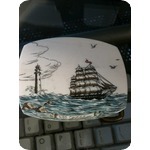 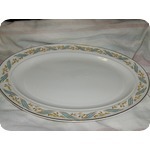 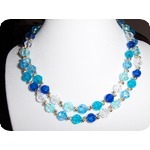 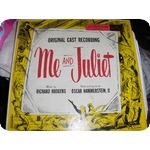 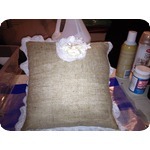 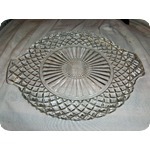 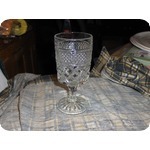 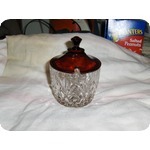 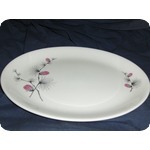 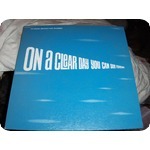 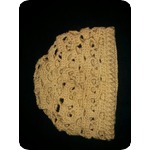 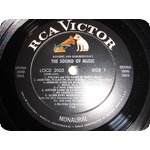 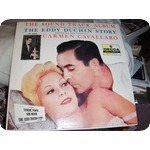 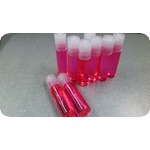 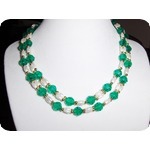 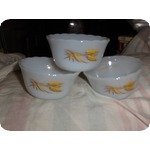 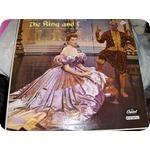 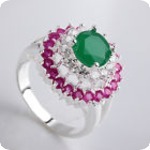 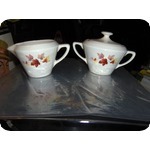 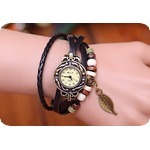 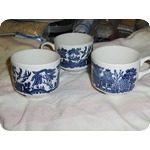 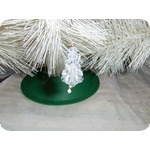 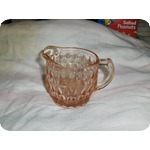 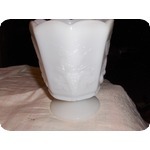 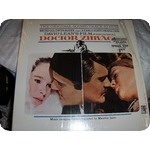 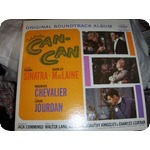 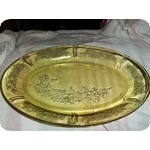 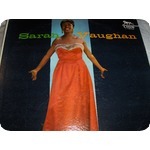 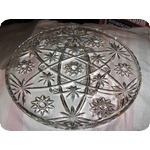 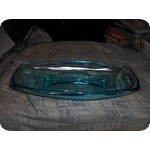 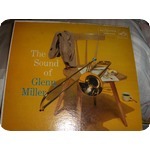 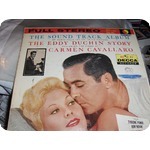 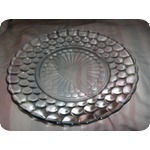 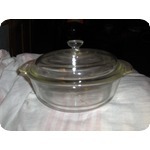 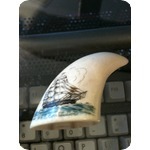 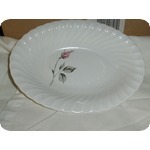 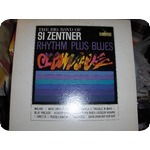 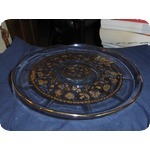 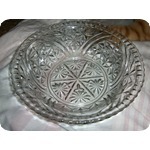 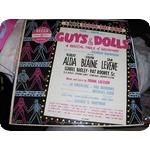 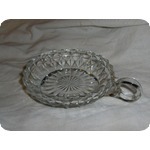 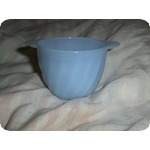 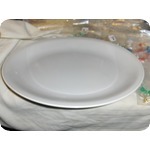 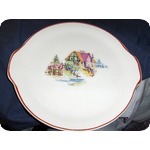 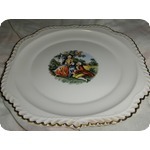 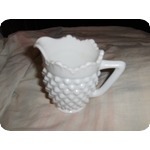 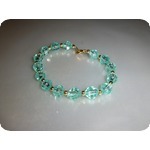 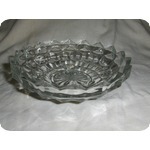 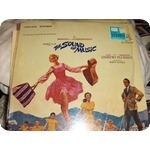 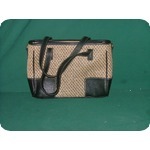 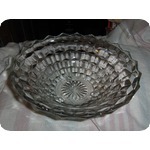 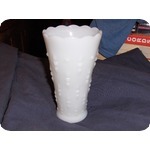 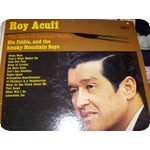 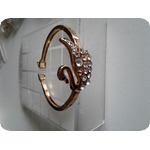 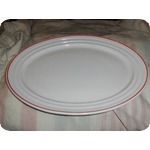 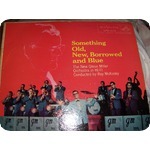 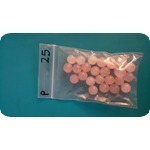 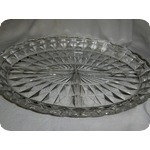 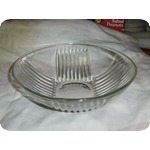 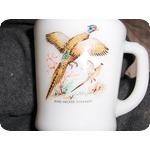 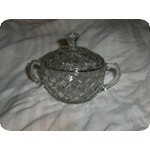 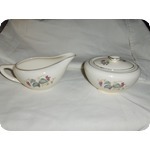 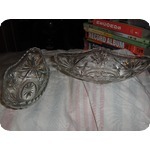 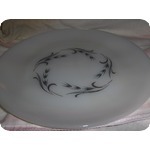 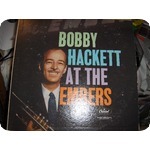 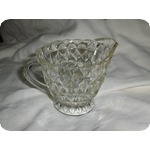 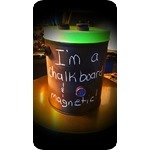 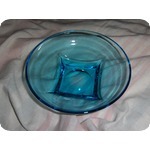 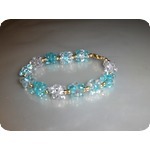 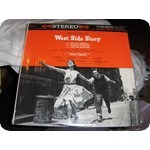 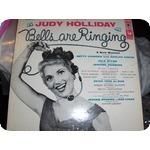 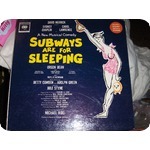 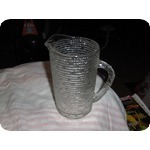 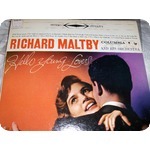 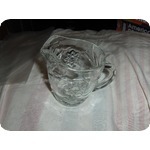 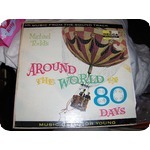 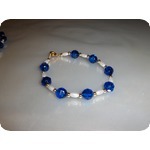 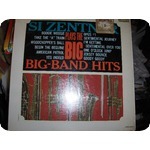 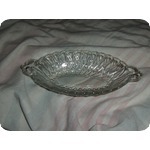 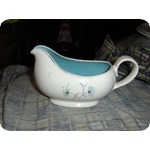 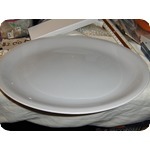 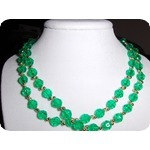 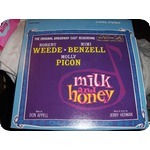 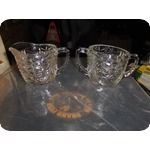 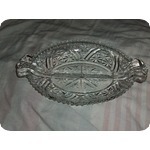 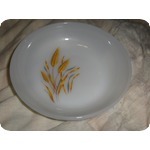 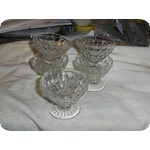 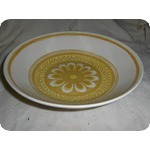 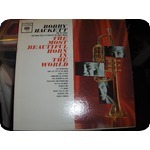 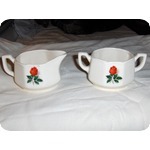 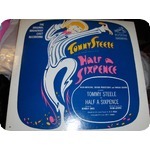 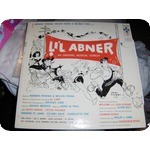 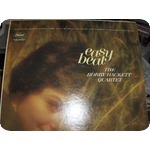 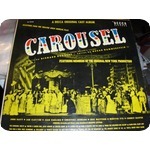 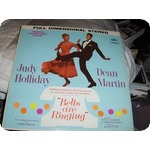 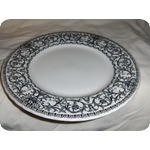 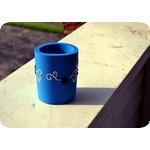 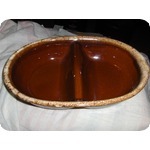 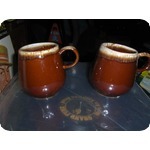 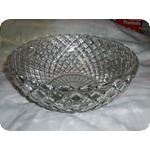 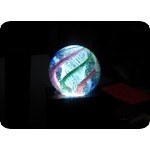 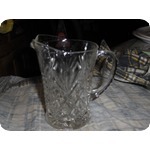 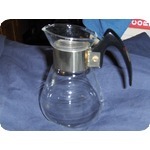 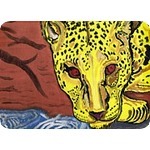 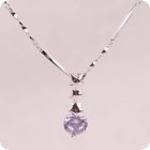 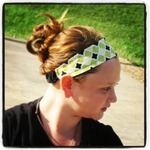 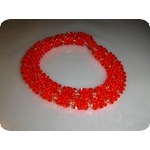 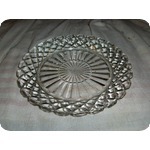 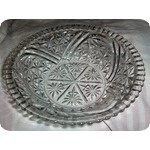 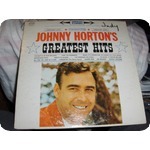 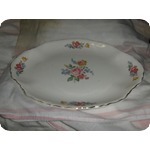 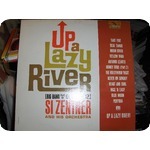 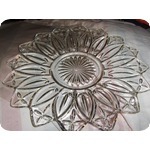 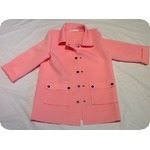 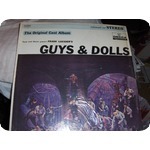 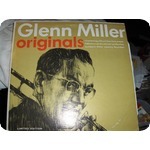 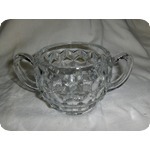 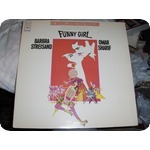 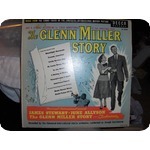 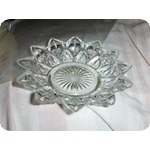 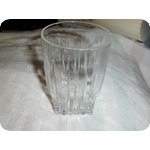 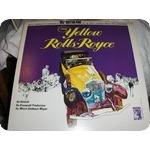 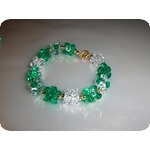 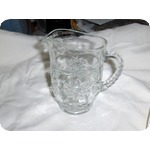 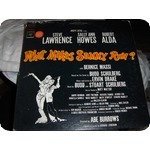 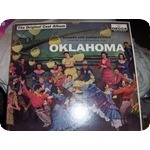 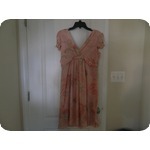 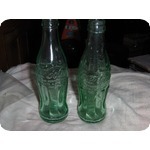 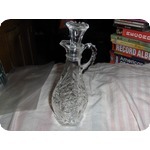 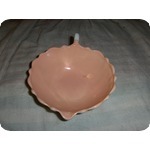 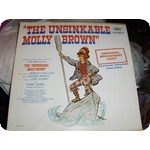 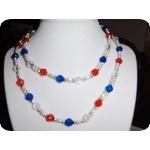 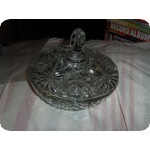 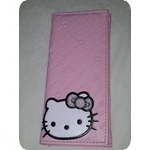 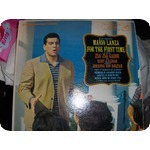 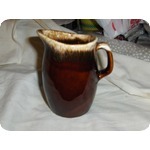 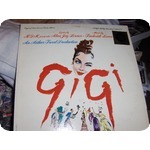 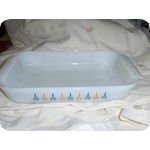 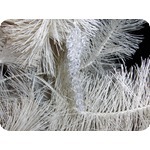 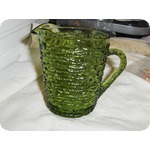 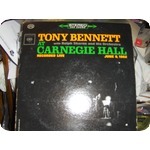 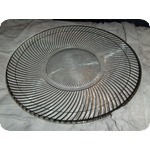 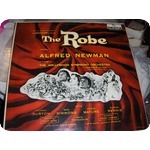 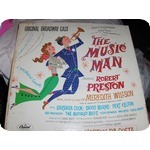 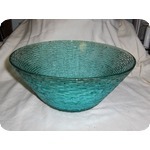 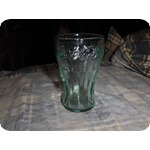 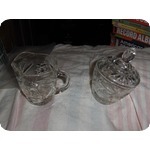 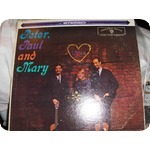 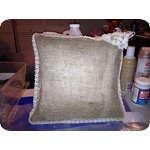 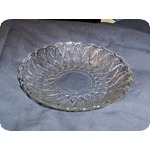 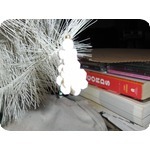 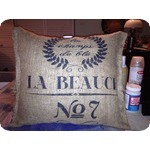 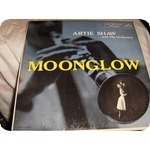 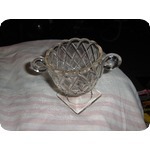 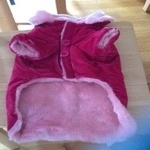 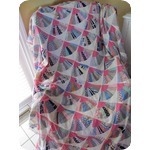 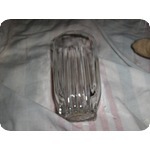 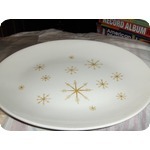 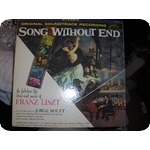 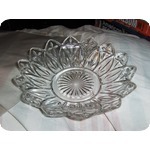 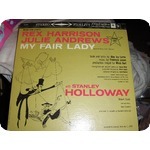 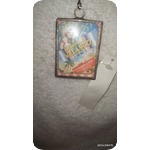 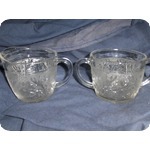 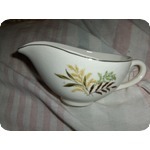 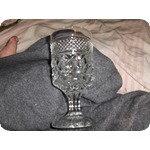 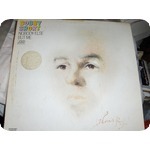 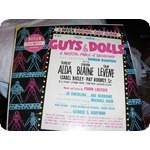 The shipping fee is $3.00 in the continental 48 United States.